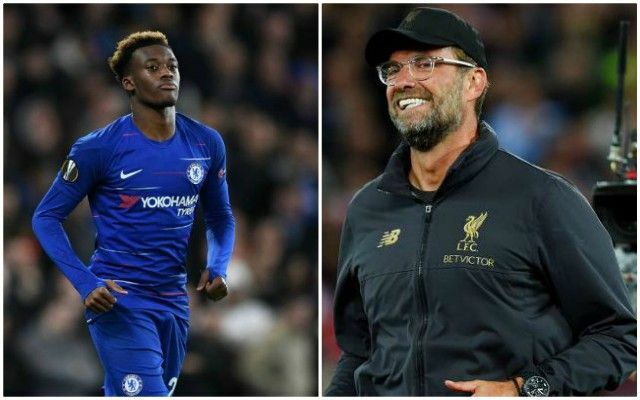 One Liverpool fan has conjured a rather intriguing theory regarding Liverpool’s rumoured interest in Chelsea’s Callum Hudson-Odoi. Reports out of Germany recently claimed the Reds had met with the 18-year-old and his representatives amid speculation linking him with a Stamford Bridge exit. Those suggestions have since been quashed by British sources, who maintain that Bayern Munich are currently unrivalled in their efforts to sign the Englishman. The Bundesliga giants are said to have met Chelsea’s £35million valuation, with Hudson-Odoi himself supposedly keen on pursuing a move to Germany. Bayern have meanwhile also emerged alongside Liverpool as contenders for RB Leipzig striker Timo Werner as he eyes a potential summer switch. This has led one supporter to perceive the Reds’ false interest in Hudson-Odoi as a ploy to beat Bayern to Werner. LFC's main competitor for Werner is Bayern who want him as a wide player. Their #1 target is Hudson-Odoi but Chelsea don't wanna sell. LFC declare interest in Odoi, pressuring Chelsea to sell to Bayern instead of a rival – leaving LFC with a clear run at Werner. An effort to lure Werner to Anfield would come as no surprise at the end of the season as Jurgen Klopp strives to add another goalscorer to his ranks. The 22-year-old looks an ideal fit to Liverpool’s setup and approach in regards to both his proven prowess in front of goal and his ability to operate in wider areas. Bild claimed on Thursday that Leipzig’s latest contract offer includes a buyout clause that would allow Werner to join one of 10 top European clubs, including Liverpool, for a fee of £61million.